Unlimited data plans haven't quite gone the way of the dinosaur, but they're lurching toward extinction. Want to stay free from tracking the gigabytes of data your new iPhone 5 is sucking down? Here's a rundown of your dwindling options, listed in order from the easiest to the most agonizing. 1. Get Sprint. The last remaining national iPhone carrier to offer unlimited data to both new and current customers is Sprint (S). 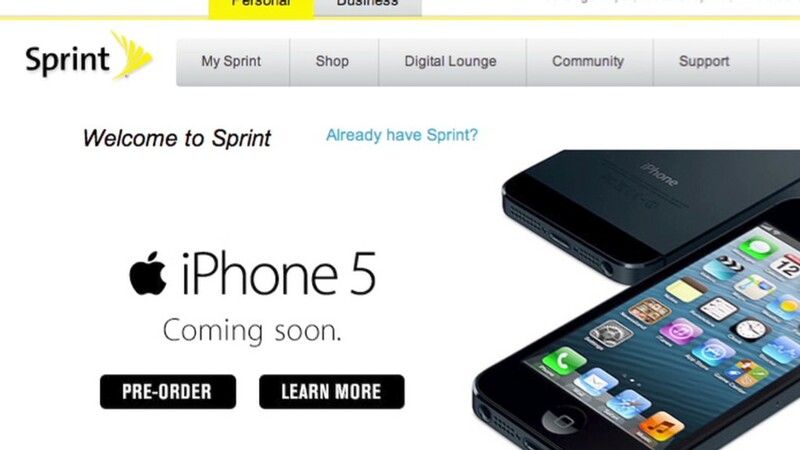 So whether you're upgrading from a previous Sprint phone or switching carriers, you can get an iPhone 5 on Sprint without worrying about going over a data limit. 2. Keep your legacy AT&T plan. AT&T has done away with unlimited data for new customers, but millions of existing AT&T subscribers are still holding onto their legacy unlimited plans. If you're one of them, you can upgrade to the iPhone 5 and keep your plan -- unlimited data and all. If you're not, then no unlimited data for you. (Next!) AT&T (T) only offers tiered plans to new customers or current subscribers who have given up their unlimited data plans. The tiered plans come in two flavors: individual or "Mobile Share," the latter of which allows customers to share one pool of data among multiple devices. Those customers clinging to unlimited data plans may not have to monitor their gigabytes, but they also won't get everything the iPhone has to offer. The new iOS 6 operating system that comes with the iPhone 5 offers Apple's (AAPL) FaceTime video chat service over the cellular network for the first time, but AT&T has restricted that feature. It's only available to the company's Mobile Share customers. 3. Buy an iPhone 5 at full price and keep your legacy Verizon plan. Like AT&T, Verizon (VZ) has killed off unlimited data for new customers. But Big Red took its unlimited hatchet one whack further: Any customer who upgrades to a new phone at a subsidized price will be switched to a tiered plan. If you still have an unlimited plan with Verizon, there's a loophole you can use -- but it's going to cost you an arm and a leg. Verizon will let you keep your unlimited plan if you pay full retail price for your iPhone 5. That takes the price tag up to a minimum of $650. The extra cash might not be worth it, even for mega-downloaders. Verizon's new "Share Everything" plans are generally cheaper than its legacy unlimited plans for heavier data users who also use voice and texts. Light users should also do a cost comparison: Verizon maintains that most of its customers use less than 2 GB of data per month. 4. Buy an iPhone 5 at full price and get T-Mobile. The most desperate move if you must have unlimited data is to buy an unlocked iPhone 5 for the full $650 price and subscribe to one of T-Mobile's unlimited plans. T-Mobile doesn't offer the iPhone itself, but it allows customers to bring their own phones to its network. That may sound like an attractive option to those who have lost their unlimited plans with AT&T or Verizon and don't want Sprint, but it comes with a few giant caveats. Even if you're willing to wait, there's a catch. The iPhone 5's wireless chip only supports T-Mobile's 2G network in most areas, so downloading any data to the phone (or, heaven forbid, uploading from it) will be a painfully slow experience. In a small handful of cities, including New York, Washington, Las Vegas and Seattle, T-Mobile's "4G" network -- actually an enhanced 3G network, not the 4G LTE standard supported by its rivals -- will be offered in the frequencies supported by the iPhone. The company plans adjust its network to bring iPhone-compatible "4G" service to more areas going forward.